Outfits including sneakers are increasing lately, here on my blog. Reason? Oh so many!!!.. 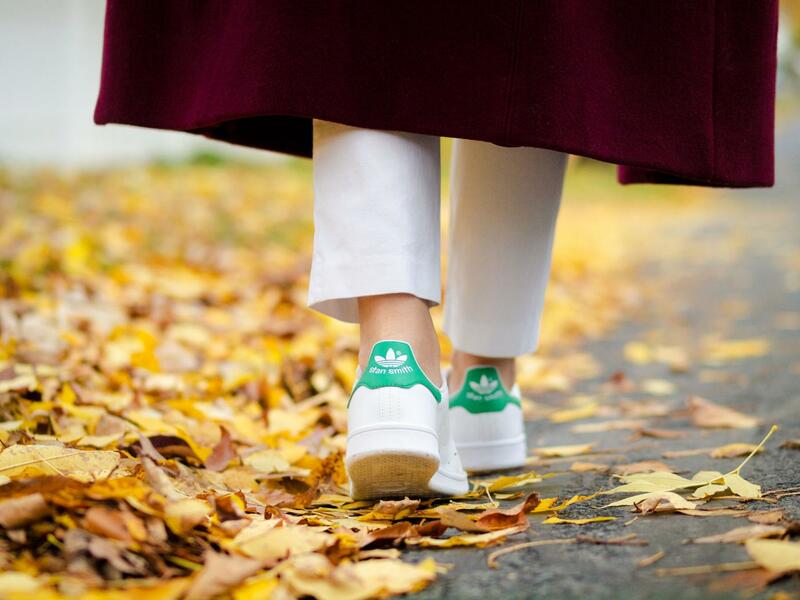 but most of all, sneakers are comfortable and easily add a dash of edge to any outfit. 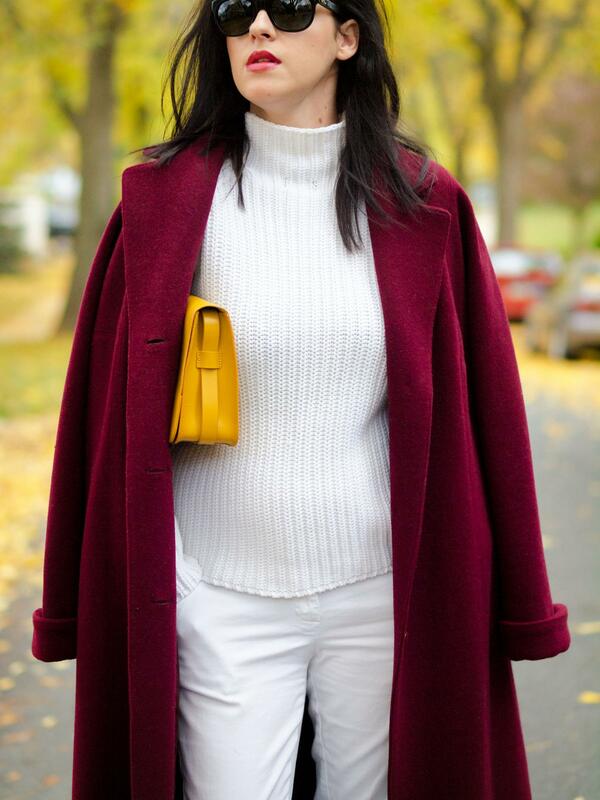 Because I wore this outfit on weekend, I opted for something simple, white head to toe, covered by a rich oxblood coat ( another vintage treasure). I must admit that the background was even richer than my coat... I love this time of year and its colors! 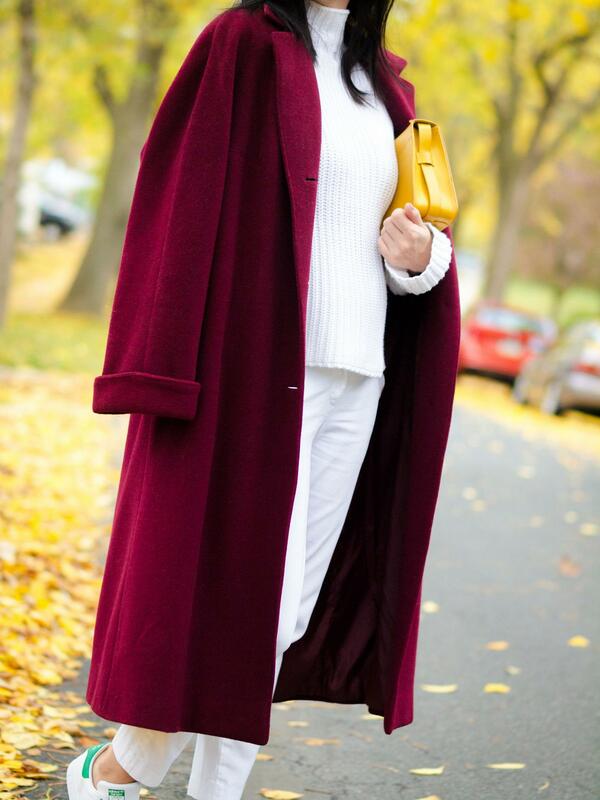 Absolutely love the burgundy coat and how you styled it! 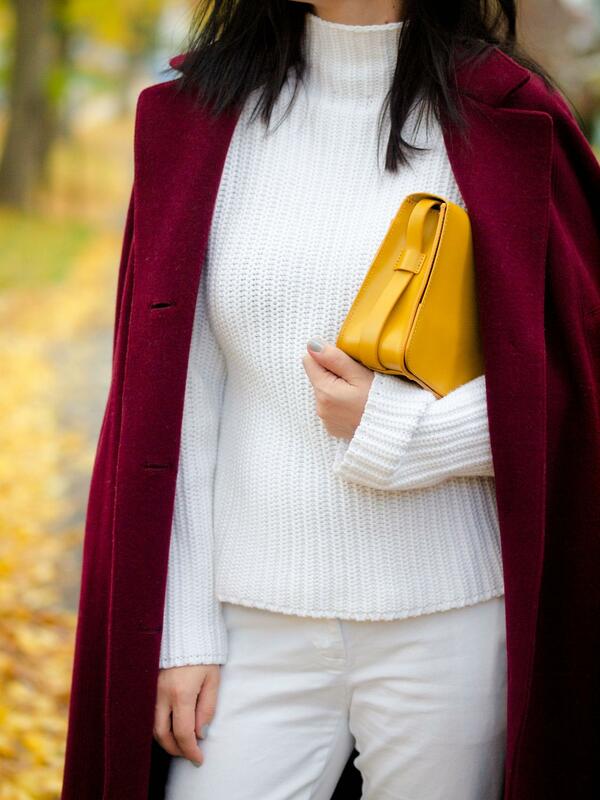 Fantastic coat and bag! You look great in this outfit!